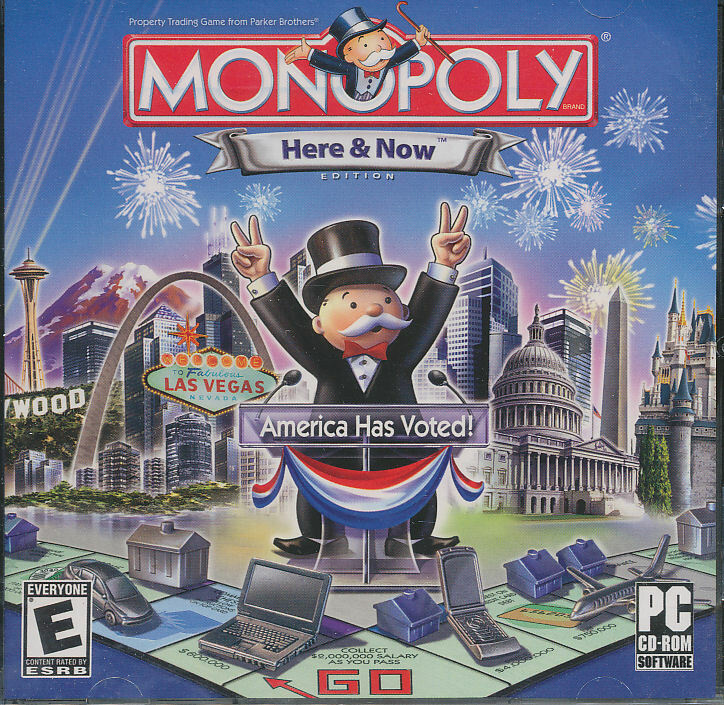 Includes 3 full version CDrom in sleeves. For Windows 98-XP. An Epic Adventure of Math and Logic. Journey into a Mind-Bending Puzzle-Packed Epic Adventure. Not long ago, the Zoombinis enjoyed the good life. Tragically, they misplaced their trust in the diabolical Bloats, who took over Zoombini Isle. 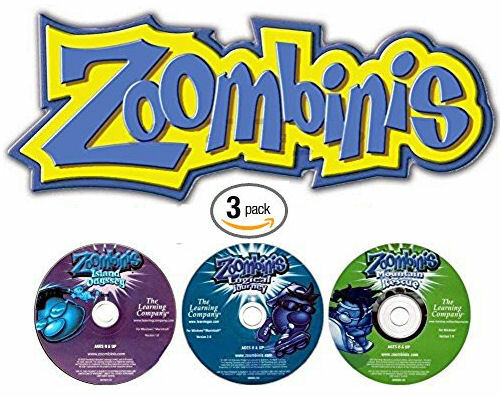 Now you must lead the Zoombinis on a dangerous quest to a new utopia. Develop math and logic skills on your expedition across puzzle-packed terrain. Each perilous puzzle you solve leads to another, more difficult challenge. Each journey is a new game! Launch bubbleships across the treacherous chasm using sequences similar to algorithms computer programmers use. Form theories and carefully examine evidence to avoid the Allergic Cliffs’ blasting sneezes. Make pizzas that decipher yes/no combinations, or the trolls won’t let you pass. Features: 12 Perilous Puzzles; 4 Levels of Difficulty; Practice Mode; Helpful Puzzle Clues; Parent’s Guide; Puzzle Reformulation: A new game each adventure! Skills; Algebraic Thinking; Data Analysis; Graphing and Mapping; Logical Reasoning; Pattern Finding; Problem Solving; Statistical Thinking; Theory Formulation and Testing Plus! Printable Activities: Printable dominoes, Zoombini bingo, guessing games, logic activities and more! A Heroic Trek of Math, Logic, and Science! Return to Zoombini Isle in Another Puzzling Odyssey! Life continued to be good for the Zoombinis. That is, until they received word about the homeland they had left behind. The dastardly Bloats had destroyed the natural habitat and then evacuated, leaving the Zerbles and other wildlife struggling for survival. Build important logical-reasoning skills and explore scientific concepts as you restore Zoombini Isle to its original splendor and ensure the survival of the wild Zerbles. Features: 7 Perilous Puzzles, 3 Levels of Challenge, Practice Mode, Helpful Puzzle Clues, Parent’s Guide. Puzzle Reformulation: A new game each adventure! Thinking Skills: Collecting Data, Data Analysis, Decoding Complex Processes, Graphing and Mapping, Logical Reasoning, Modular Arithmetic, Pattern Finding, Problem Solving, Theory Formulation and Testing. Science Concepts: Astronomy, Mechanics, Cryptography, Ecology, Genetics, Life Cycles.